The Church of England has established and sustained schools for the people of London for hundreds of years. In 1924, the London Diocesan Board of Schools was set up to be the educational arm of the London Diocese. The key purposes of the LDBS are ‘to promote church schools‘ and ‘to promote education which is consistent with the faith and practices of the Church of England‘. On Friday 20th January 2017, Burdett-Coutts was one of over 150 schools invited to a special service at St Paul’s Cathedral to give thanks for the work of the LDBS. Titled ‘Let’s Celebrate! – Giving thanks for our schools‘, the service also marked the anniversaries of 3 schools (Lady Margaret’s Secondary School – 100 years, Archdeacon Cambridge’s Primary School – 175 years and Ashford Primary School – 200 years) as well as the contribution of Liz Wolverson, Director of Schools Support Services. 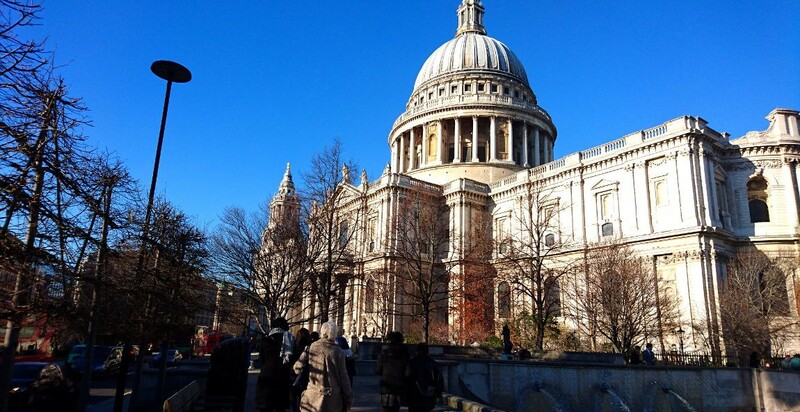 Attended by the Bishop of London, the service was a glorious celebration of music, song and dance in the magical setting that is St Paul’s Cathedral. Holy Trinity Tottenham Primary School Steel Pans played thrillingly before the service while the Inspire-works Facilitators beat drums and horns to accompany the hundreds of voices singing hymns of praise. Dancers from Raine’s Foundation Secondary School performed an ethereal and magical dance after which the Christ the Saviour Primary School Choir performed the Anthem for the service. At the close of the service, the Blessing was given by Richard Chartres, Bishop of London. At the end of the service, The Revd. Buckle showed the children the exact spot in St Paul’s Cathedral where he had been ordained many years ago. It was such a privilege to be included in this special and uplifting service! A big thank you to Mrs Dyer, Mr Carden, Ms Hall, The Rev. Buckle and the following Year 6 children who attended: Leyya, Ava, Tyler, Jessica, Lamyaa, Cameron and Ramina.